Now that school exams are over, most Delhi kids are enjoying a session break before they join their new classes in April. Needless to say, everyone is looking for fun activities to engage their kids in. With flowers blooming everywhere and the grey winter sky giving way to a happier blue, it’s the perfect time to get outdoors before the harsh summer sets in. The Picnic Table at The Gateway Resort Damdama Lake, Gurgaon offers the ideal setting for some good old fashioned fun with the tots. 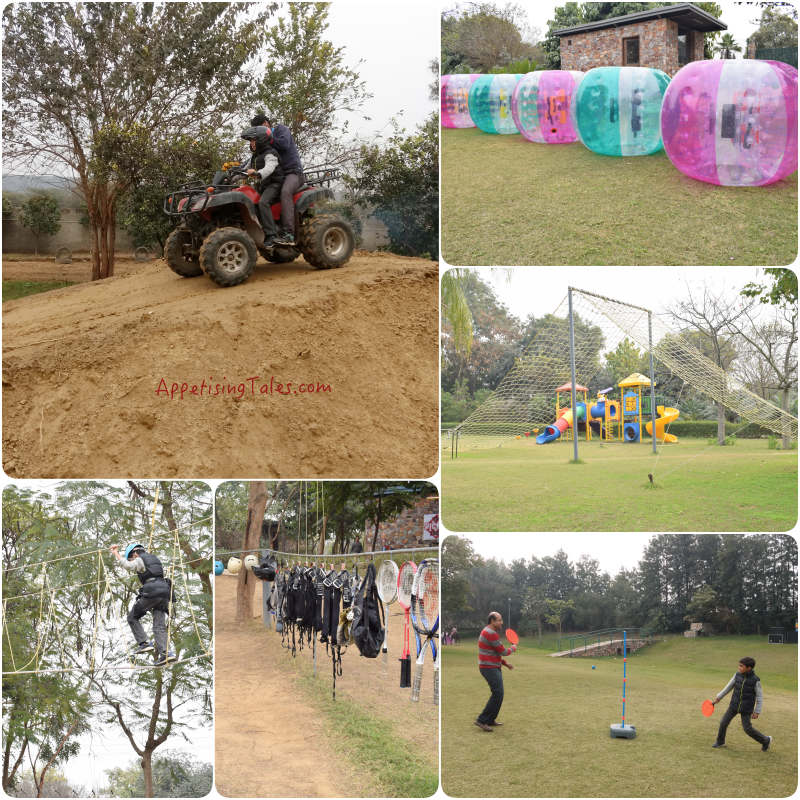 Choose from the many activities at the Adventure Zone. Located in the outskirts of Delhi and Gurgaon, the resort is a lush getaway that is accessed through lush fields and tiny villages, lending a feel of going on a road trip. The recently launched Picnic Table is a fun concept that allows you to enjoy the outdoors and myriad adventure and sports activities, without checking into the hotel, not even to eat! 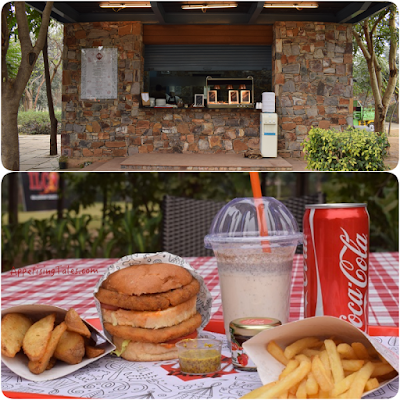 There is a kiosk that offers picnic fare such as burgers, wraps, sandwiches, chana bhaturas, French fries and delicious shakes and soft beverages. Here, you can enjoy the Taj hospitality at ‘non-five-star’ prices. The Picnic Table has a range of options for kids and adults. While you can enjoy a game of cricket or soccer in the verdant lawns, adventure enthusiasts can choose fun activities at the Adventure Zone that includes a range of options for various age groups from rappelling, commando net and zip lining to bubble soccer, rifle shooting, archery and paintball. Many activities are complimentary, but some have a per head charge, such as riding ATV bikes on the exclusive mud track. All safety equipment is in place and a trained team ensures that the activities are safe for kids to enjoy. If you want to just kick back and reminisce about your own childhood, simply lie back on the grass and gaze at the clouds floating across the sky, without worrying about any rowdy crowd, coochy-cooing couples or even stray dogs that have proliferated in the public parks. The only suggestion we’d give is to leave the gadgets back home and connect with the outdoors, and with each other!